As of its publishing, this post has 9K likes and 32 comments on the platform on which it was originally published. That’s how long it took before the creators of Angry Birds launched their successful game from the verge of bankruptcy in 2009. That’s how long everyone’s favorite “overnight success” Slack spent in online gaming before pivoting to the communication tool we know today. Success delivers extreme value. Success is deliberate. Success is sustainable. Success takes change and hard work — sometimes, years of it. Success is not built overnight. Neither were some of today’s most successful startups. I believe you have to be a little crazy to choose the startup path, but you don’t have to fall prey to these myths that falsely promise overnight success. Who would you rather answer to: the needs of your loyal customers or the demands of your investors? Bootstrapping, or making enough money to support your startup with no outside funding, gives you the most valuable thing a company could ever have — freedom. When your startup is sustainable, you’re able to focus solely on doing what you love — making a product that improves your customers’ lives. Your growth is based on their needs. You provide extreme value. You’re here for the long haul. That’s a commitment your fans will tell their friends about. When you take an investment from someone, you’re beholden to pursuing their goals instead of your own. You’re suddenly putting together pitch decks, managing a quickly-growing team, and employing slimy tactics achieve hockey-stick growth month after month. Don’t lose sight of why you started your company in the first place. Don’t get distracted from building a product that turns users into ambassadors. Your freedom to build something of value is worth so much more than any monetary amount you might be offered. Build a solution your fanbase loves instead of building a hamster wheel to trap yourself in 16 hours a day. My company JotForm has 3.2 million users and 100 employees. 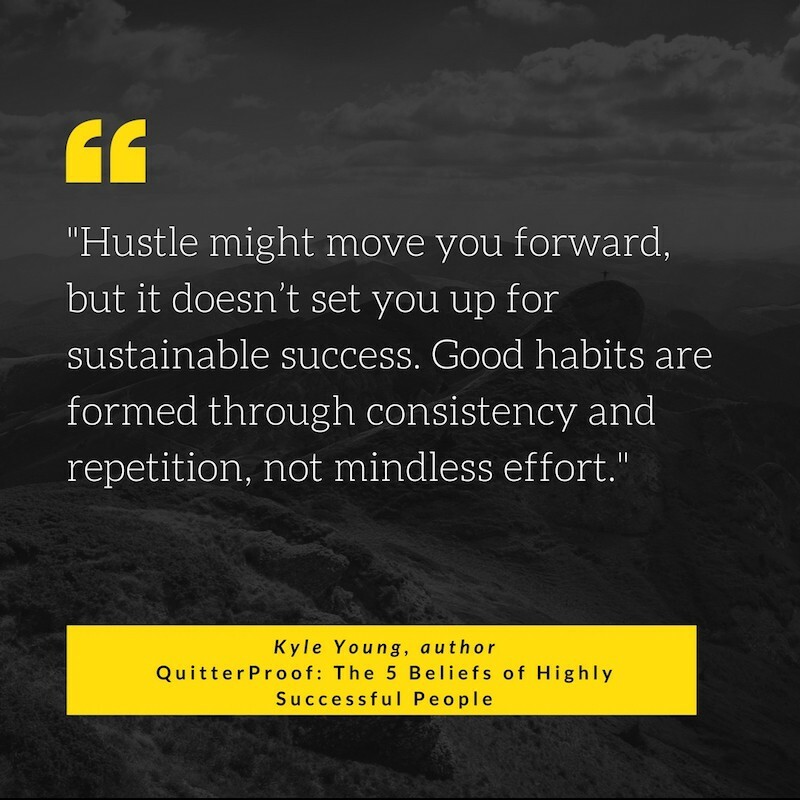 Hustling less, not more, is how I got here and how I continue to take care of them. To have the energy to take care of my team and keep making better products for my users, I have to take care of myself. That means setting up a sustainable work schedule. That means taking time to enjoy my personal life outside of work. You know all those times you’ve wondered if there was an easier way? Build it. Is there a problem you — or people you know well — experience every day? Solve it. When you build a solution you or other people are already desperately seeking, it’s harder to fail. You hit the ground running. Your test group is eager to get behind your solution and provide valuable feedback as you grow. You’re not going to build a successful startup overnight. You can build a successful startup over time by listening to people’s needs. The world will always have important, day-to-day problems that need solving. Not all success stories are rooted solely in passion. Ever heard of vanity metrics? They’re those big numbers investors want to see before they give you their money. These surface-level metrics like daily users and downloads tell you if a product is popular. They can’t tell you much about its longevity or value. When you aren’t under the gun to grow these surface-level metrics, you’ve got time to take a good look at areas where you can inject more value into your product. You’ve got the freedom to pivot or branch out if you find your customers are asking for something new. Sure, you could focus on jacking up your number of short-term users and downloads to dazzle VC firms with a ridiculous valuation. But that sure doesn’t feel like real success. 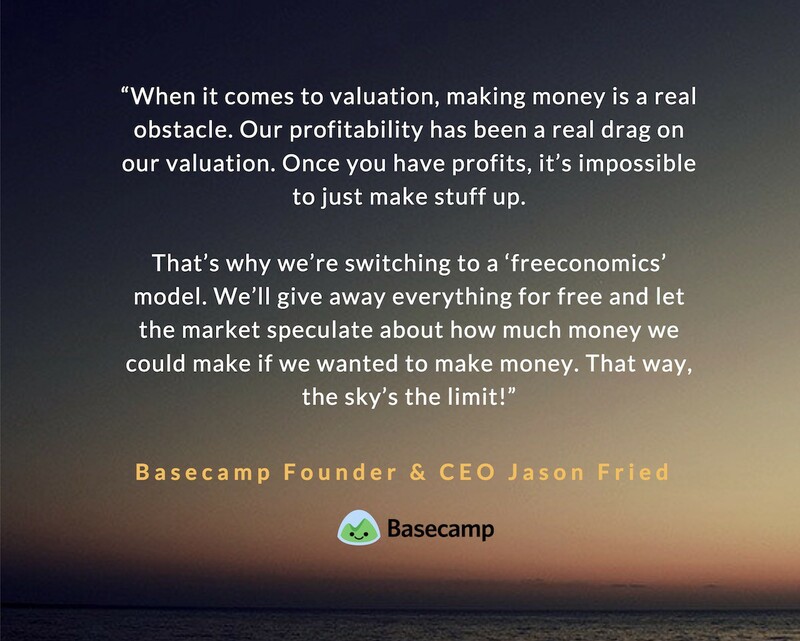 It also doesn’t feel like success to Jason Fried’s, who founded Basecamp in 1999 and is famous for denouncing the valuation of his and other startups. When you view your startup as a side project, you don’t have to worry about keeping your head above water while you work out the kinks. Plenty of successful startups like Craigslist, Trello, and Product Hunt began as side projects that teams and individuals developed to solve their day-to-day struggles. Their founders didn’t quit their day jobs until they knew these side gigs could be self-sufficient. Startups that have enough income to play the long game are ultimately successful. They can focus on increasing value and profit instead of their bank balance. When you’re in charge of your own growth, you can develop your startup at a speed that feels right. Growth isn’t evil. In fact, it’s an important element of your success. It’s how you develop more valuable products that serve more customers. Sustainable internal growth sets up an environment where people genuinely love what they do. Todoist has grown to help people complete millions of projects in a field saturated with to-do list competitors. It’s taken them a decade, but they’ve successfully stayed true to their mission without any outside investors; all because their growth was deliberate. It’s taken me 12 years to build JotForm to where it is today. But growth can’t be your only goal if you want to be successful. It can’t come before a good product. It can’t be sustained without profit. When you focus on providing value for your customers, they in turn reward you with the ongoing support you need to play the long game. A lot of times, it will feel like things in your startup are moving at a blistering speed. Other times, you’ll feel like you haven’t moved forward in weeks. That’s normal. That’s startup life. If you’re committed to making life better for the people who use what you build, you’re not only in it for the blistering speeds or the overnight success story. You’re in it for the little wins and the long hauls. You’re in it because you’ve found a problem you deeply believe needs solved and you love solving it. No hustle, no hacks, no out-of-control growth, and no outside investment required. Even Google’s Director of Research Peter Norvig speaks against overnight success in his manifesto to Teach Yourself Programming in Ten Years. Sure you probably could do it faster, but should you? The startup path is about the journey, not the destination. You won’t arrive at success immediately, but you should buckle up for one hell of a trip. This article was created by Tina Eaton for a large Growth Supply client in the startup space.